Why Should You Recycle Your Metals? At some point throughout the course of your life, you’ve likely heard that recycling is a beneficial practice. You’ve probably been told that recycling your plastics, papers, metals, and other recyclable materials is the right thing to do. The simple fact of the matter is that metal recycling is hugely beneficial to the environment. This is true for one primary reason: metal recycling reduces overall greenhouse gas emissions. Greenhouse gas emissions come with the burning of fossil fuels, and have shown themselves to be detrimental in the way of climate change. The more greenhouse gases we release into our atmosphere, the faster the climate will change over time, and the sooner our environment will deteriorate. The processes used to recycle and reuse metals release far fewer greenhouse gases than those used to mine fresh metals. Therefore, recycling is more beneficial towards our environment. Did you know that the recycling industry is a huge part of the United States economy? Currently, the industry is responsible for well over 1 million jobs. It is estimated that, if the United States achieves a recycling rate of 75% by 2030, over 1 million additional jobs will be created. The amount of money generated by this industry is substantial. In fact, it is estimated that the recycling industry generates over $200 billion dollars annually in the United States. While we tend to take it for granted, the fact of the matter is that energy is limited. There is a finite amount of fossil fuels, and a finite capacity for electricity. Because of this, we should all be making efforts to conserve our energy. Having your metals recycled is a great way to do this. After all, recycling metals requires a great deal less energy than it does to mine fresh metals. By having your metals recycled, you will help to conserve both oil and electricity, keeping the prices of both down to a minimum. Fossil fuels and electricity aren’t the only finite entities that are conserved through metal recycling. Metals themselves are conserved as well. The more metals that we recycle, the less fresh metals we will have to mine, preserving our natural metal reserves. As of right now, our metal mines are still fairly plentiful. However, this is due, in large part, to recycling efforts that have already been carried out. If we want to maintain our mines for the foreseeable future, metal recycling will certainly need to continue. Want to help keep the costs of metal products down as much as possible? If so, it would be in your best interest to recycle your metals. 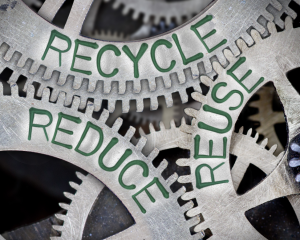 Because metal recycling eliminates the need for fresh metal mining, it makes the manufacture of metal goods a much more affordable process. Because manufacturing is more affordable, manufacturers don’t have to charge as much money for their products as they otherwise would. Are you interested in recycling metals in Chicago? Looking for a metal recycling company in the area? If so, Central Metal Recycling is exactly the company you’re looking for. We accept recyclable metals from businesses, homeowners, and serious scrappers, while compensating all of our clients for their submissions. Whether you’re looking to recycle stainless steel, aluminum, copper, brass, or some other type of metal, we are the people to see. Contact us right now to start the process!